Get to know our very own Annie a little better as she talks about her most embarrassing client moment and why she would love to meet Meghan, Duchess of Sussex for a cup of Earl Grey..
1. I can't start the day without..
2. What is the best thing about your job? Without a doubt the people I meet. After teaching my clients the theory of colour and style, I love watching their faces as they put on the clothing that we select for them when they exit the changing room. Watching someone transform in front of the mirror can be very emotional; their posture changes, they smile and they see themselves differently. Changing the way someone feels about themselves is the best part of my job. 3. What are your favourite spots in London and why? Richmond Park and the entrance of the Tate Modern. It's the feeling of space. 4. How do you relax after a busy day? With a glass of prosecco and a follow up with my client of the day. It is lovely for them to see great photographs of themselves wearing what's right for them. 5. Whose wardrobe would you like to raid? 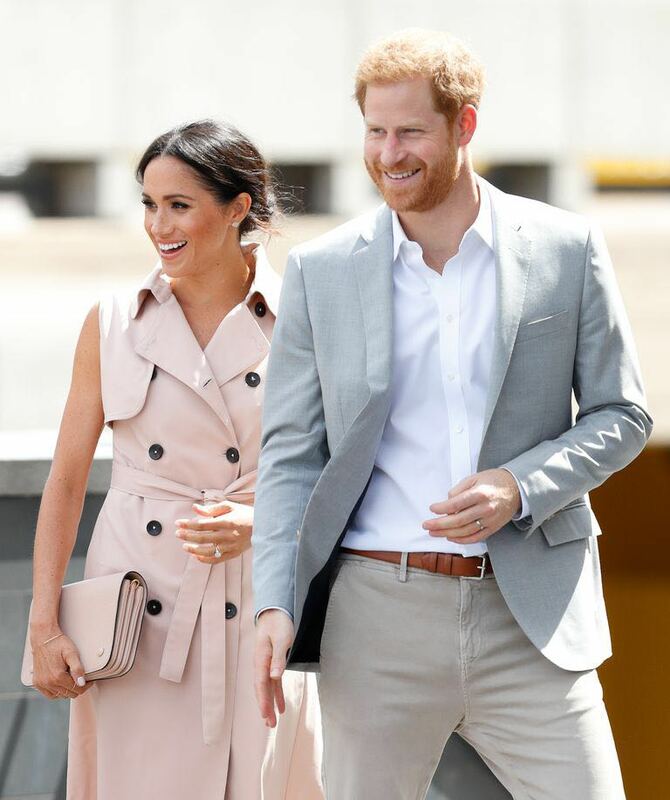 Well, I’m not sure that I would want to raid anyone’s wardrobe but I would love to do a wardrobe detox for Meghan, Duchess of Sussex. I would remove the warm colours (too much cream, yellow, brown and moss green) which is unflattering on her skin. I would remove coats with large lapels and anything too baggy. Meghan is so beautiful and as a Winter and a Classic Princess, her colours are cool (she is stunning in navy, white, emerald green and cool pinks) and her style needs to be neater and on a smaller scale. Then I would like to have a cup of Earl Grey tea with her and ask if I could do Harry’s wardrobe. Harry DOES have a warm skin tone so out with the black for him! 6. How do you feel about fashion? As we teach at Red Leopard, it’s really all about what works for your colouring, your body and face shape and your personality. If the Gypsy/Bohemian is the latest trend then I’m not going to advise my Classic clients to wear these clothes because they would look like they were going to a festival. If your body shape requires neatness and more structure then the floaty boho look will look like your night dress. If on the other hand your look is bohemian then wearing something classic and fitted will make you look older and you will not be comfortable or able to move easily. To me, fashion and trends are just that, they are trends. My fascination lies more in the individual than in fashion. You need to know which colours flatter you. Your most flattering colours will make you look vibrant, energetic and younger. The wrong colours create the opposite effect. 7. Most embarrassing thing you've said to a client? Well, that’s easy and I’m still squirming ..That is when I was telling 'Autumn Huntswomen' to dress like Meryl Streep in Out of Africa! Having only recently watched the film (late to the party as usual!) I was horrified when I saw her costumes. I assumed she would be dressed head to toe in a Safari kit, but that is not the case. Clearly my clients had seen the film and now I understand why they looked at me the way they did. Would you like to book a consultation with Annie? Get in touch here.